The smell of fresh cedar is in the air, as you make your way up the (now closed) Big Cedar Trail. The iconic tree near Lake Quinault, Washington is now in pieces on the rain forest valley floor. Tourist and locals alike have come to this location for several generations to gaze upon its pure size. Now the area is riddled with chunks and slabs of this old dinosaur. This old big cedar was formally known as the world's largest. It was 19.5 feet a round and 174 feet tall. The trail that accessed it, got hundreds of annual visitors a year and is now has now been closed by the Olympic National Park Service. Tourist and local alike are sad to see it go. 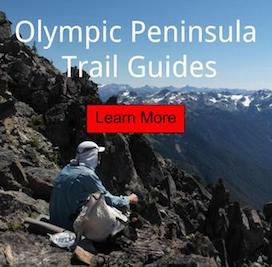 Hikers: Be sure to update your hiking guide books of the Olympic Peninsula.